Challenges we are facing, and more importantly, the measures to address these challenges. Peter Rossi Peter Rossi joined Huawei Australia as Chief Technology Officer in January 2009. Peter has over 20 years of experience in the Australian telecommunications industry, with proven capability in the fields of strategic and technological service development, delivery, and project and program management in both the Vendor and Service Provider domains. 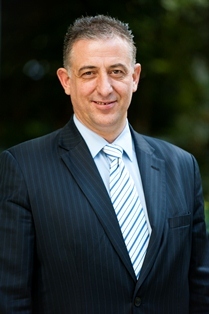 Over his career Peter has held senior positions in Telstra, Lucent and Alcatel. Mr. Rossi specialises in working with executive and senior management in the development of IT strategies, structures, profit-centric and customer-centric solutions.